RINCON, PR – The New Hampshire Wild have defeated the Explorers for the second time in a row this season. Wild had 8 hits to the Explorers 4. Sammy Carter for the Explorers continues to hit well adding a hit to his hits count for the second game in a row. Steven Figueroa and Ricardo Sanjurjo both had a pair of hits for the Wild. 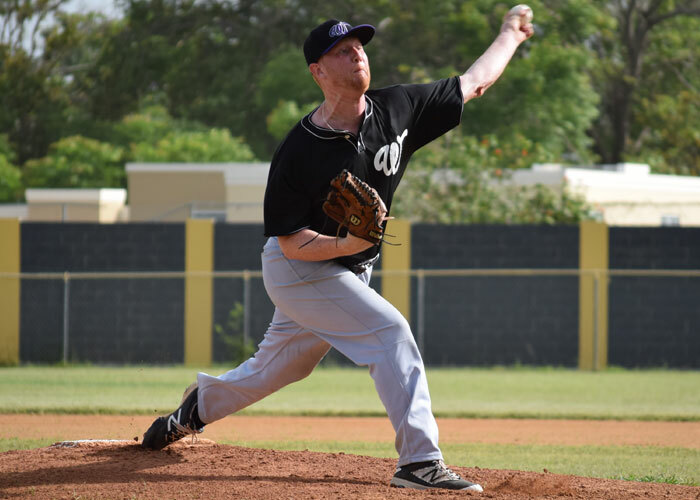 Mitchell Hillert, who has been added to the Irish National Team roster had a perfect game going for the Wild until an error followed by a single in the 6th inning broke up the perfect game and no-hitter. Hillert went 8 innings and struck out 4 batters while only giving up 2 hits. The Explorers have some figuring out to do as they have not been able to do much defensively. Scott Hall went 6 innings giving up 4 earned runs and striking out 6 batters. The Wild improve their record to (2-0) while the Explorers drop to (0-2).